Looking 4 Unique, Panoramic Views of the Meramec River?? No disappointment here! 1.5 sty custom built home, 3 acres. 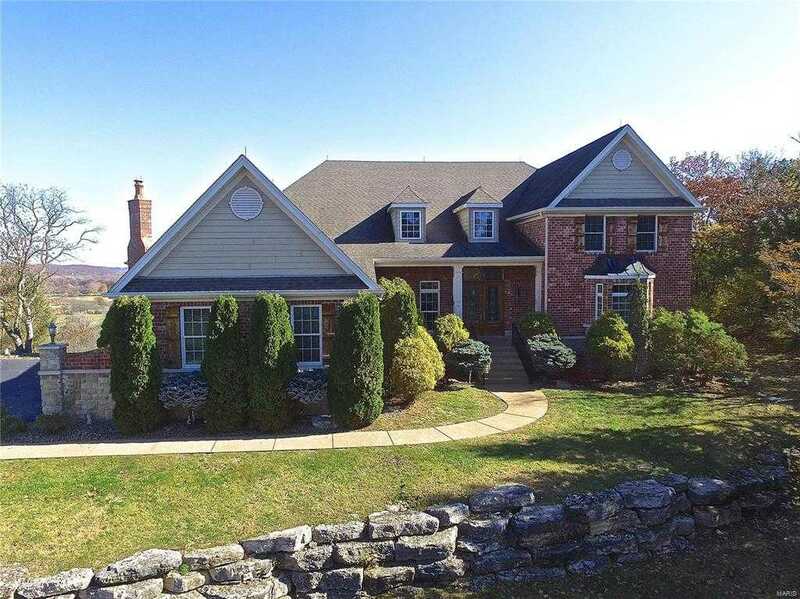 Tucked away, cul-de-sac ,5 bed 7 bath house sure to please Most discerning Buyer. Exterior built W/Stone & Brick , Beautiful double lead glass doors open 2 magnificent cathedral ceil entry foyer. Grand iron staircase & marble flrs, Lrge Din Rm w coffered ceil leads into open flr plan, Great Rm w/stone gas fireplc, Open chefs kitchen w/wet bar, lrge center isle, 42 x2019; cabinets, stainless appliance, Dacor Double gas oven w stainless hood & wall of Win. Cozy Vaulted Hearth Rm w/Stone fireplc, Mastersuite w sit area, Double walk in closet, Masterbath w His/Hers vanities,jaczuzzi tub, sep double headed shower w/Steam,3 Beds upstairs, 1 w/priv bath & others Jack n Jill set up. W/O Fin LL w Bedrm, priv bath w therapeutic tub ,gas firplc. Rec Rm & Wet Bar equip w Frig,dishwash& oven Grt 4 Mother in law. Enclosed Brick outdoor space w Brick firplc. Truly a Must See Home!